Continuing the drive up the coast of Maine, we stopped in Portland for one night. 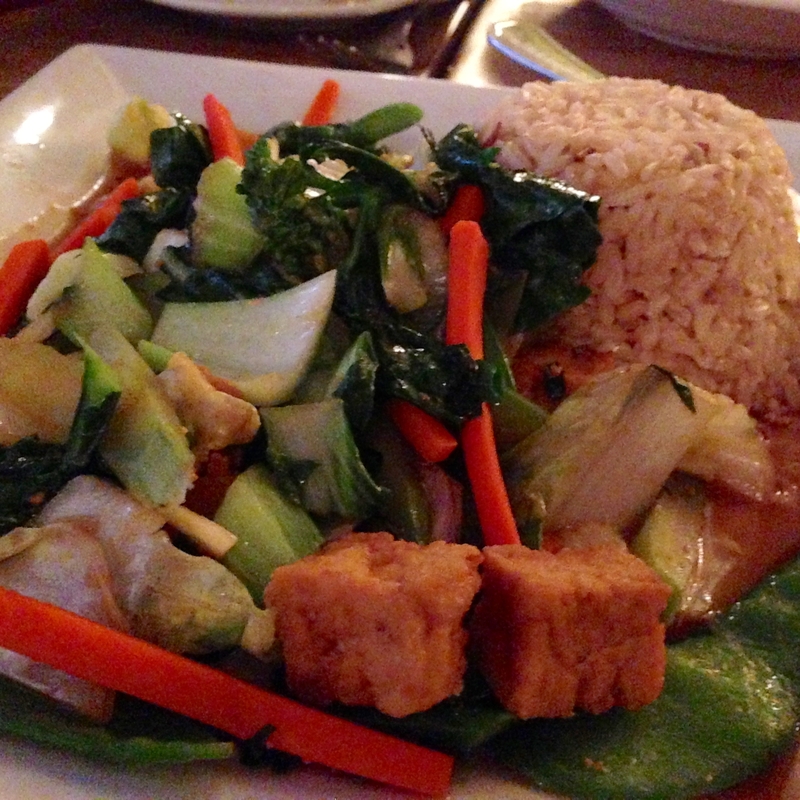 We were all in the mood for Asian food and decided on a vegetarian Thai restaurant called The Green Elephant. We checked with several locals including our hotel staff, shop keepers, and Uber drive and they all gave it a great review. The ambiance and decor included some furnishings that appeared to be from Ikea. The modern touched, natural elements, and soft lighting made a fun atmosphere. The menu was pretty extensive including appetizers, soups, salad, stir fry options, curries, and noodle dishes. The proteins you could choose from included tofu, processed soy products, tempeh, and eggs. We started with one of the most unique salads and creative food combinations that I have every eaten. This special of the day dish called Miang Kam Jay consisted of four bite size salads. It was a mix of peanuts, grapefruit, shallots, lime, and toasted coconut flakes all nestled in a betel leaf. My daughter ordered the Pad Thai which was just delicious and spiced well. 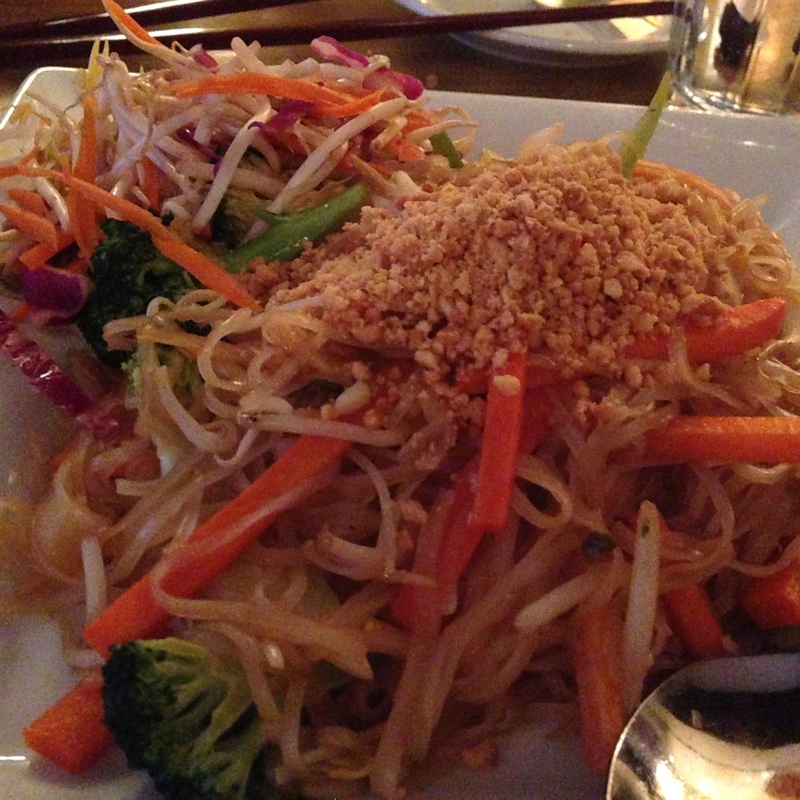 The raw vegetables were a nice touch to the soft, chewy rice noodles. The crumbled peanuts added more texture and complimented the sauce. I liked how there was not too much sauce. The Asian vegetables with tofu stir fry pleased my son but it was average. The Green Elephant only serves brown jasmine rice and I do support that healthier choice. The Green Curry was excellent. You could choose a spice level of 2 being mild, 3 medium, and 4 spiciest. We chose 3 and it felt like a 6. That was my only complaint. Otherwise, the actual flavor profile was right on with the coconut milk, curry, and ginger.